Elevated between 3937 ft and 9278 ft, the Ski Resort is among the 15 highest elevated Ski Resorts in Austria. The vertical drop from summit to base is 5341 ft. The average difference in altitude between base and summit of Ski Resorts in Austria is 2392 ft. Most runs are therefore relatively long. Serfaus Fiss Ladis is among the 5 best rated Ski Resorts in Austria. It is known to be the most family-friendly ski resort in Austria. Season starts on Dec 7 and ends on Apr 23 (137 days). Average season duration in Austria is 114 days. Average snow depth during the season (Dec 7 to Apr 23) is 54 " at summit elevation and 13 " at base elevation. Snow coverage is usually best during February, offering an average snow depth of 62 " at summit elevation and 19 " at the base. 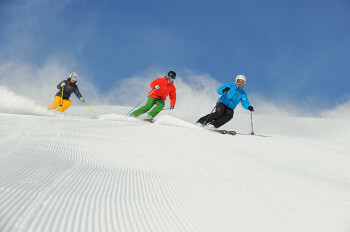 Therefore Serfaus Fiss Ladis is among the 15 ski Resorts with best snow conditions in Austria. 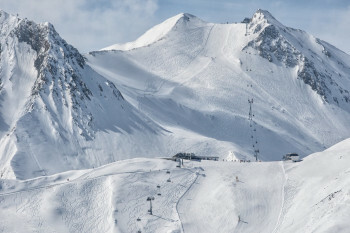 Serfaus Fiss Ladis features 73 sunny days on average per season. The average for all ski Resorts in Austria is 63 sunny days. February is the sunniest month with an average of 21 sunny days. This makes the ski resort one of the 15 sunniest in Austria. 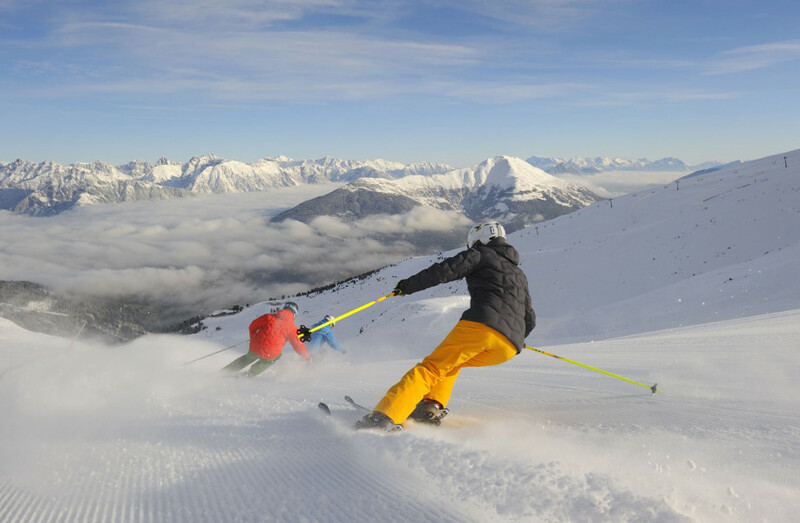 Offering 123 miles of slopes and terrain, Serfaus Fiss Ladis is among the 10 largest Ski Resorts in Austria. The largest ski resort in Tirol has 214 kilometers of piste (133 mi) and 68 lifts – you will find something for everyone here! Easy and manageable blue marked pistes for beginners can be found in the areas from Plansegg to Serfaus, from the intermediate station Sonnenbahn gondola to Ladis and from the Steinegg to the Moseralm. If you want to challenge yourself even though you've had little experience, try the blue marked piste starting at the summit Pezid at 2.770 meters (9117.5 ft). Advanced skiers and snowboarders at Serfaus Fiss Ladis have a never ending selection of red marked slopes to choose from. Real experts should definitely try the black marked pistes starting at the summits Pezid or Zwölferkopf. From the summit Lazid there are also many shorter black marked sections to discover. For families with children there are numerous areas suited for their needs. The Kinderschneealm Serfaus (Childrens Snow Area) offers practice areas with sections for the little newcomers as well as for more practiced skiers. Life-sized famous play figures motivate the kids to enjoy the snowy weather and find pleasure in learning the wonderful winter sport activities! Just above the Kinderschneealm you will find restaurants particularly designed and decorated for children including child-friendly features and the food kids love! Another area just for the little ones is Berta’s Kinderland (Children's Area) at the intermediate station Sonnenbahn. Here you will find everything that makes a child’s heart beat faster and those big eyes sparkle: conveyor belts and practice lifts, a room for warming up, a playground, a fun-park with wave tracks and boxes, a snowmobile, a tubing track, a race track and different play worlds. In addition the family restaurant Sonnenburg has an indoor playground! The little kids participating in ski classes will get their food at the children's restaurant „Bertas Kinderplanet“ (Bertas Children's Planet). At the so-called “Mumlikrippe” people offer supervision for even the smallest children: kids from 0 to 5 years of age will be looked after by qualified personnel while the parents can go off discovering the slopes without worrying about their little ones. The so-called “Murmlipark” on the other hand is another children's ski park, where the ski school Serfaus teaches the little winter sport athletes how to ski like a pro! In addition there are two day care centers with child supervision and mentoring for children three months and older in the communities Fiss and Ladis. Older kids on the other hand love action! Serfaus Fiss Ladis has its very own Children's Snowmobile Parcour close to the Kinderschneealm. Older children can race down the slopes getting the action packed vacation they asked for. An interactive adventure trail discloses the secret of where Murmli, the mascott of Serfaus, lives. A spooky atmosphere prevails inside the Fiss world of caves: You will ski past bears and men made out of moss while discovering the jungle and glacier cave. Back-country and freestyle skiers and boarders will feel right at home on one of the ten challenging free-ride slopes as well as in the Fun Area and the Freestyle Circus. The Fun Area awaits skiers and snowboarders with a Shred Park, a Swatch Snow Park and a Sun Park, offering three fun-parks with all levels of difficulty. The carving track at the Lawensabfahrt descend invites to many wide swings on a piste made just for carving! The two permanent race tracks at the Schöngampabfahrt descend and the Peischlkopfabfahrt piste you can race against other skiers and snowboarders. Near the Zwölferbahn base station there is another speed track where you can race on your own. Your time will be visible in large digits at the end of your race. If you want video evidence of your racing success you need to stop by the ski movie track at the Fiss north-side. Your moves and tricks on your way down the piste will be recorded by special video cameras. 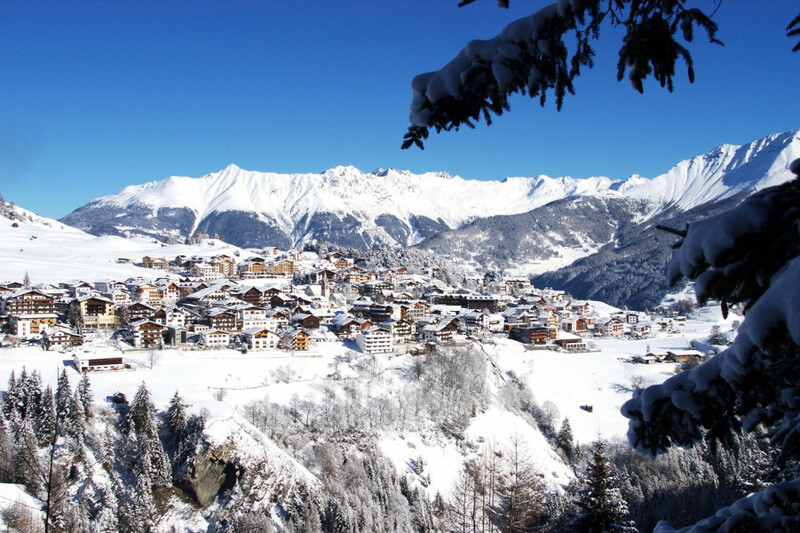 In Serfaus Fiss Ladis you have 25 mountain restaurants, three children's restaurants and four umbrella bars. 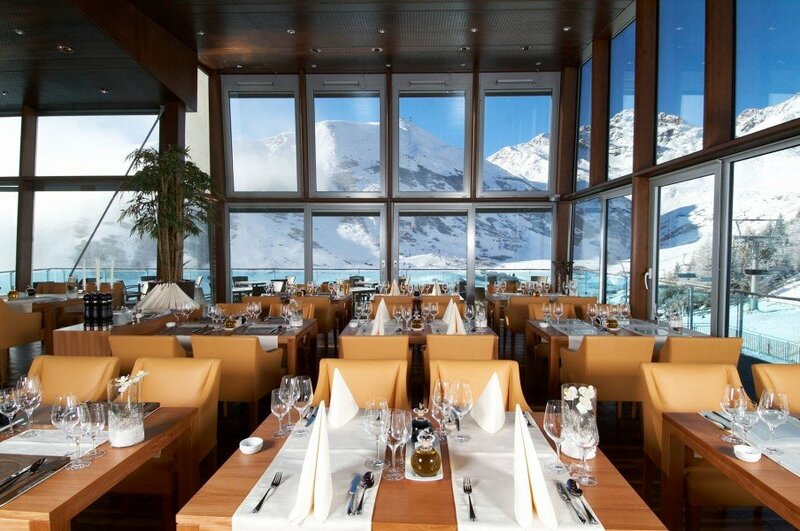 The restaurant Zirbenhütte at the base station offers pure indulgence. With a comfortable mountain hut style, open fireplaces and chimneys, lounges with cozy chairs and creative cuisine the restaurant is popular with all visitors. The family restaurant Sonnenburg is the perfect rest stop for families. Apart from fresh stone-oven pizza and a large cake buffet, children have their own play area here. Stroller parking spots as well as nursing and diaper rooms are provided. For Après-Ski fans there are numerous umbrella bars at the Komperdellbahn gondola, the Waldbahn gondola and around the area Schönboden. A real treat are the numerous feel good stations, which are spread out over the ski resort. Ergonomic relaxing sunbeds, hammocks or lounge chairs are at the ready for everyone who needs a quick break and wants to lie down enjoying the view while sunbathing. A special highlight is the black marked piste called Pezidabfahrt from the Pezid summit at 2.770 meters (9088 ft). The longest descend in the skiing region is the ten kilometer (6.2 mi) long Frommesabfahrt. The hardest slope in Serfaus Fiss Ladis is the so-called „Direttissima“. You start at the summit Zwölferkopf in the direction of the intermediate station Schönjochbahn until you end up in Fiss. Also starting at the Zwölferkopf and leading into the community of Fiss is the equally challenging groomed piste „Kamikaze“. Cross-country skiers have 30 kilometers of cross-country skiing trails at their disposal. A special highlight are the trails located at 2.000 meters (6561 ft) at the intermediate station of the Komperdell gondola. At the intermediate station Komperdell the so-called “Nordic Point” within the „Take-Off Snow & Fun Center“ provides shower facilities and changing rooms. In total there are 10 kilometers (6.2) of sledging tracks for big and small sledging fans. Sledging trails are found in front of the station Komperdell to Serfaus and from the Steinegg to Fiss. Wednesdays between 6 and 11 PM the ski resort offers Night Sledging in Serfaus. Thursdays between 6 and 10 PM you can sledge on the illuminated Möseralmabfahrt slope. If you want a quiet break after an action packed day of skiing you should consider a hike from the huge variety of trails. Hiking through the winter wonderland of Serfaus Fiss Ladis is definitely worth your time. An amazing panoramic view awaits at a great hike from the top station Fiss to the top station Serfaus. The breathtaking view is what makes this trail so popular. Another hike with stunning views would be the Almpromenade. This route is a 1.5 kilometer (0.9 mi) long circuit trail from the Kinderschneealm area to the Speicherteich pond. You can also participate in snow shoe hikes in Serfaus Fiss Ladis and you have perfect conditions for ice skating in winter at the Schlossweiher pond in Ladis. The fun does not end when the lifts are closing. In Serfaus, Fiss and Ladis you have numerous possibilities to end your day with a relaxing drink or a Après Ski party! 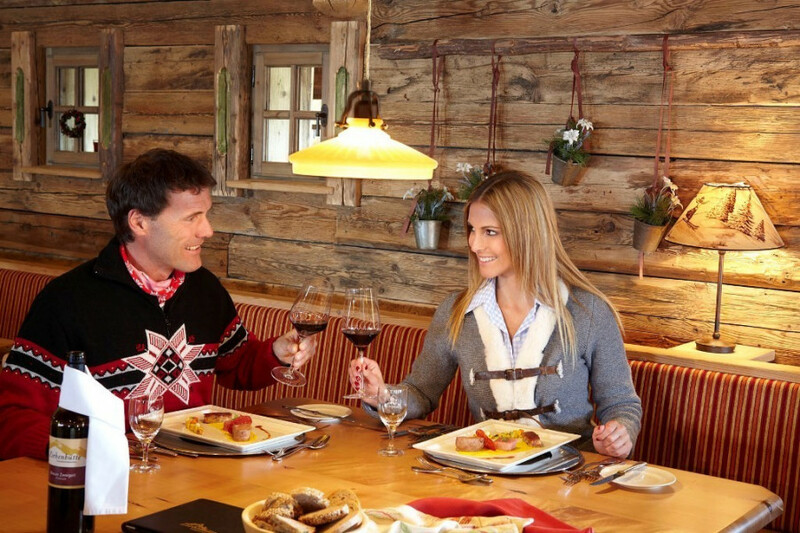 In Ladis you will find the popular Après Ski bar Geigaloch next to the base station of the Sonnenbahn Gondola. In Fiss on the other hand you have the Hexenalm or Hackls Kaller for celebrating. In Serfaus at a famous place called Patschi you will have a good time guaranteed! 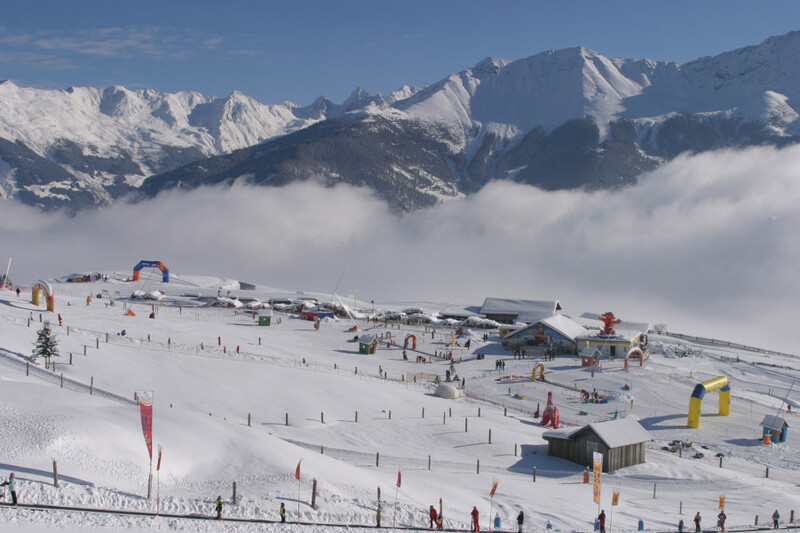 The ski resort Serfaus covered in a beautiful layer of snow! Starting in Germany you need to drive through Munich and onto the A 93 in the direction of Innsbruck/Kufstein/Brenner. You continue onto the A 12 until you reach the Oberinntal. Keep right here and drive in the direction of B180 Italy/Switzerland/Bregenz/Arlberg. At the exit called Ried im Oberinntal get off the highway and turn left onto the Serfauser Landesstraße (country road). Follow this road and you will reach all the base stations of the ski resort. Take the train to the station Landeck. From there either take the public bus or a taxi to the ski resort.